MARIN: Chelsea's forgotten man heads to Belgium on loan. Chelsea's forgotten man Marko Marin (Who was once claimed to be the German equivalent of Lionel Messi) has today joined Anderlecht on loan for the remainder of the season after his initial loan in Italy hadn't worked out. "Anderlecht is looking for quality, not quantity. 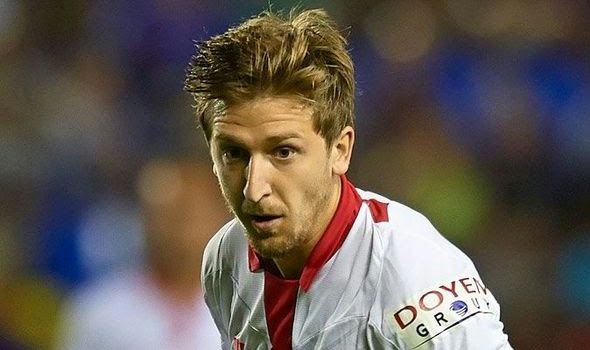 The arrival of Marko Marin is a win-win deal for both parties. Here, he can play at the top level and help the Purple and Whites achieve their ambitions." "I'm happy to be able to give new momentum to my career in this professional environment," he said. "Anderlecht is still a big name on the European scene, and I am going to do all I can to help this great club win trophies." It's in everyone's best interests to sell Marin as quickly as possible next summer. It's obvious that people at the club feel as though he was a bad investment and has not lived up the expectations here for one reason or another. That's nothing personal against him, it's just how it is. The fact that this is his THIRD loan spell in two seasons and at the time of writing this article, Chelseafc.com had not updated their website to confirm the move, I can safely say that his future is not at Stamford Bridge!